I've been sewing for years. I'm self taught. Basically, I wanted to know how to sew, therefore I bought a pattern, asked for help reading the back and getting the materials needed, then foraged ahead. I used to know next to nothing about my sewing machine. There are tons of things you need to know about your sewing machine that will drastically change your sewing projects. Today, I'm going to cover feet. 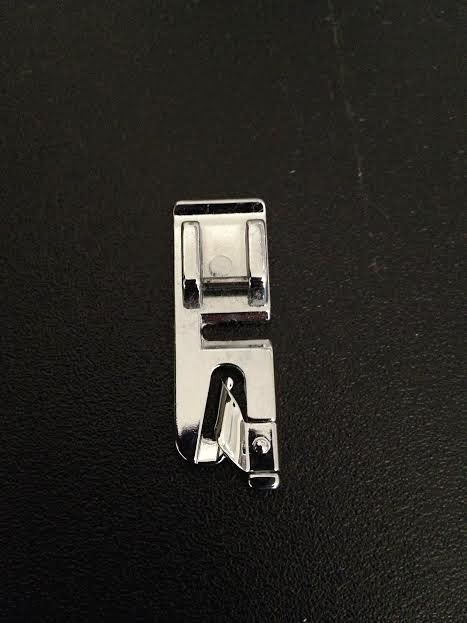 There are a multitude of feet that you can put on your sewing machine that will help you. The one it comes with is a basic, sew two pieces together foot. If you want to do more than that, you need to invest in some more. Sewing feet are a bit pricey, but trust me, they're worth it. Let's start off with how to choose the correct foot. First, you need to know what type of shank you have. If you have the manual, look it up. If not, take the foot off your sewing machine and see what it looks like. Mine is a snap-on. This is the generic foot that works for pretty much anything you need to do. In fact, it works for everything you will need to do for cosplaying, however, other feet will definitely make your life a lot easier. This foot comes with any machine you buy. 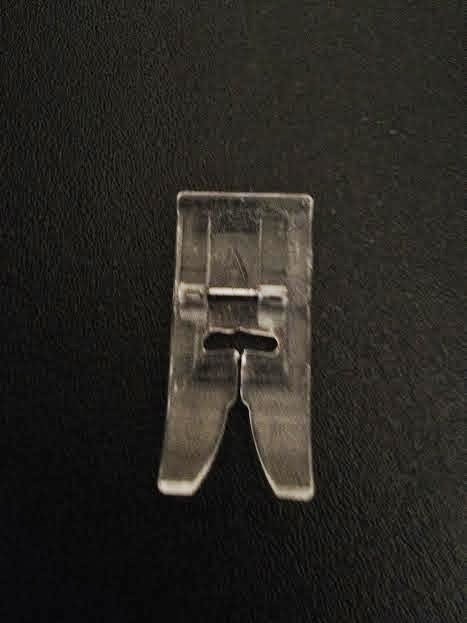 Now, if you want to install a zipper on your garment, there are a variety of zipper feet. Here are two that I have. Both came with one of my machines. Not all machines come with more than one foot. Amazon is a great place to buy feet if you don't have a sewing store in the area that sells your shank type (like me). 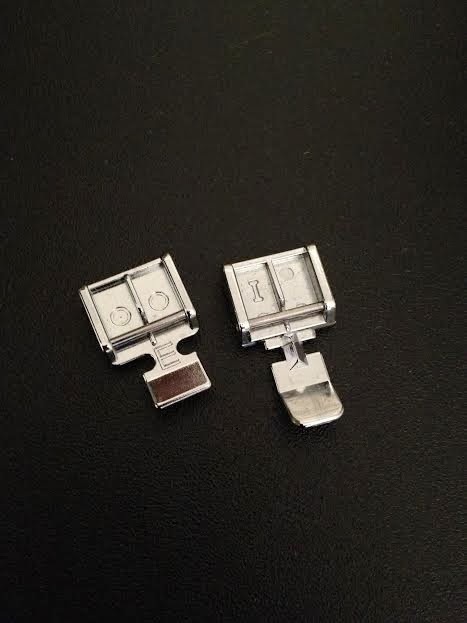 The foot part is smaller so that you can get your seam line right along the zipper teeth. If you use the generic foot, you have to make sure you have plenty of material because you won't be able to sew right along the zipper teeth. Your foot will get in the way. Finally, my favorite foot: The hem foot! The hem foot comes in a multitude of sizes. 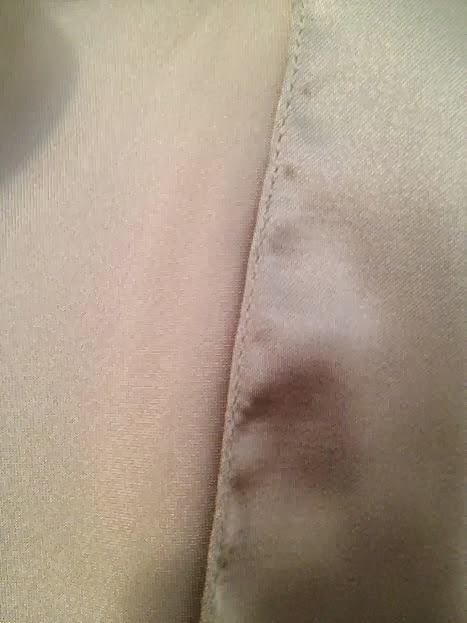 The hem pictured above was accomplished using a narrow hem foot. Works wonderfully for long flowing elven sleeves.